Enjoy two beloved Tales from Grace Chapel Inn books in a single volume! 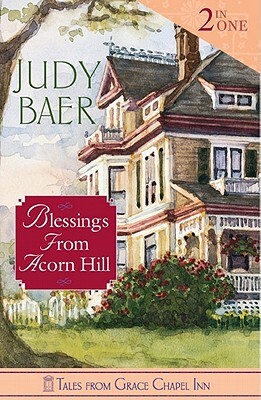 In The Way We Were, Jane's college roommates gather for a reunion at Grace Chapel Inn where they reconnect, uncover old wounds, and confess long-buried secrets. Will their gathering turn into calamity? But when the weekend turns into an impromptu quilting retreat that brings healing and encouragement, the women are reminded of the blessings of old friends. In Slices of Life, the Howard sisters look forward to an all-county reunion and catching up with old friends, but are also dealing with a set of guests who need particular attention. Jane faces an old adversary; Alice ministers to a prickly guest who keeps them all guessing -- and a young couple can't agree on their direction for the future and it's tearing them apart. Can the sisters help these young people find a way to realize their dreams?